Preserving history and promoting restoration of historical Lilac Way since 2007. The Restore Lilac Way website has three clear goals. 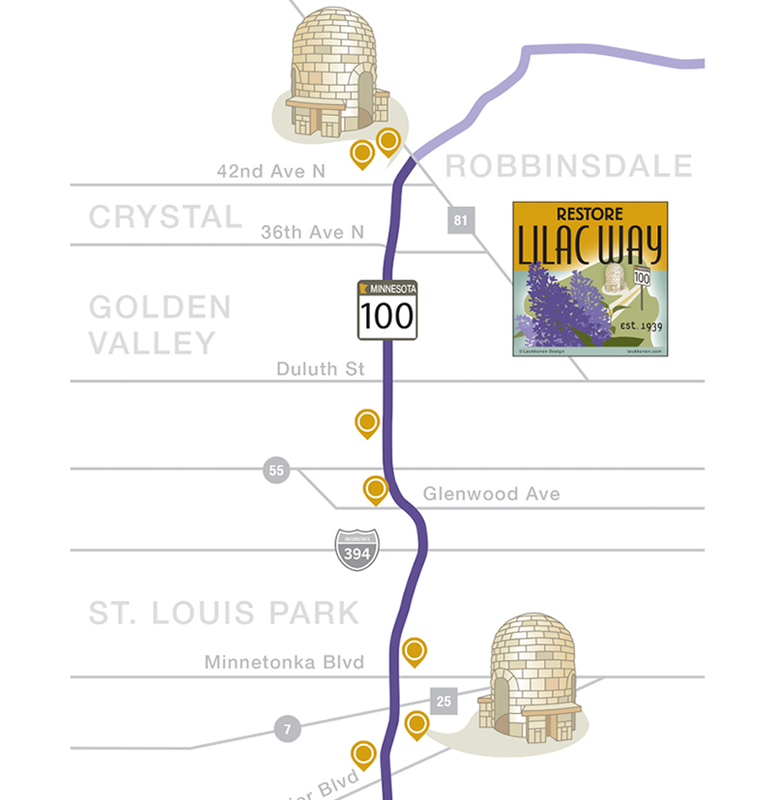 Lilac Way was a 12.5 mile ‘showcase’ section of Highway 100 in Minneapolis. Built in 1939, the roadside parks had quirky beehive-shaped fireplaces and big Fred Flintstone-like stone picnic tables built by the WPA. With more than 55 pages, 40 photo albums, plus tons of history, maps and videos, restorelilacway.com brings history to life. 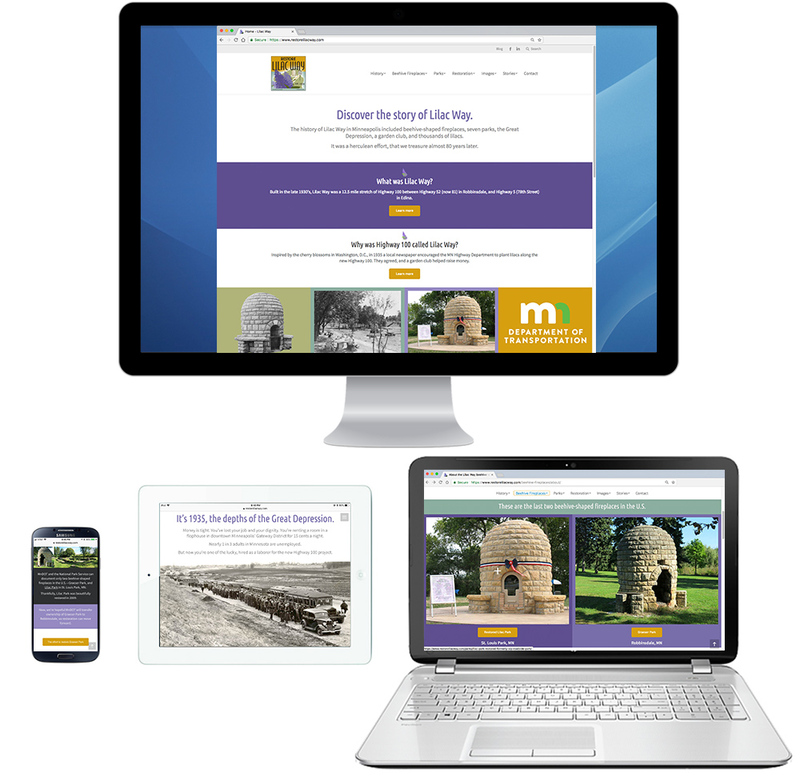 Designed and edited for smooth readability on every device, visitors can quickly learn about this project built during the Great Depression. This is a civic project conceived, researched, written, designed and maintained pro bono by Karen Laukkonen. 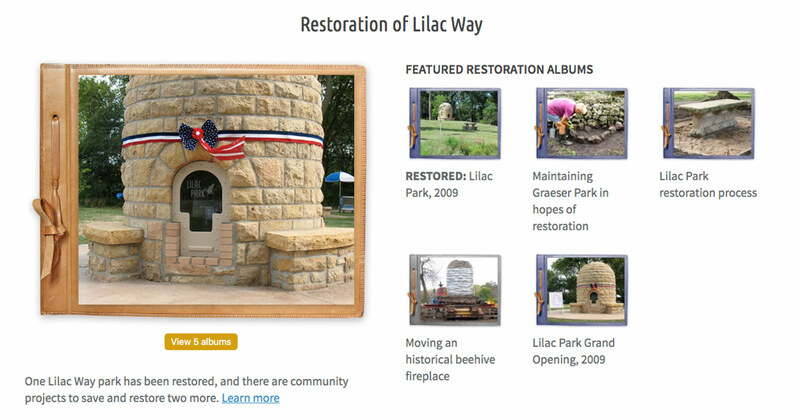 The Restore Lilac Way website resizes its elements, adapting to desktop or mobile devices for a great experience. It’s easy to read and navigate, and shows up higher than competitors’ “desk-top only” websites in Google searches. 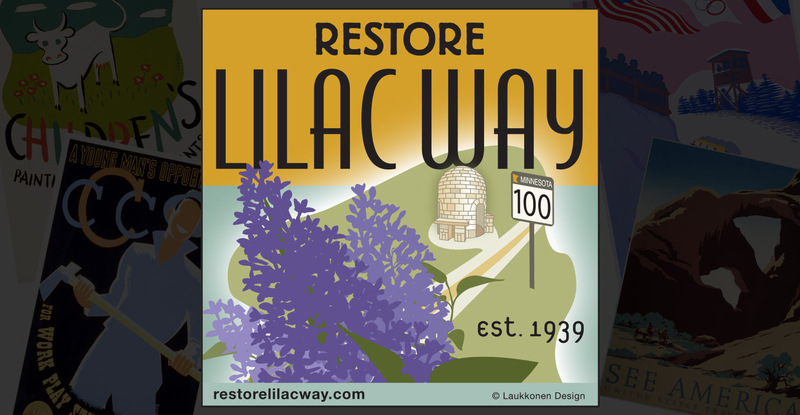 With design inspired by WPA posters of the 1930s, this new website builds on a long-term brand first created for the 2007 Restore Lilac Way website. From black and white photos of men digging Highway 100 by hand in the mid-1930s, to MnDOT’s 1940 park photos to current photos of park deterioration and restoration efforts, these 40 photos albums document an amazing story. Five of Lilac Way’s seven original 1939 parks have been lost to road construction. 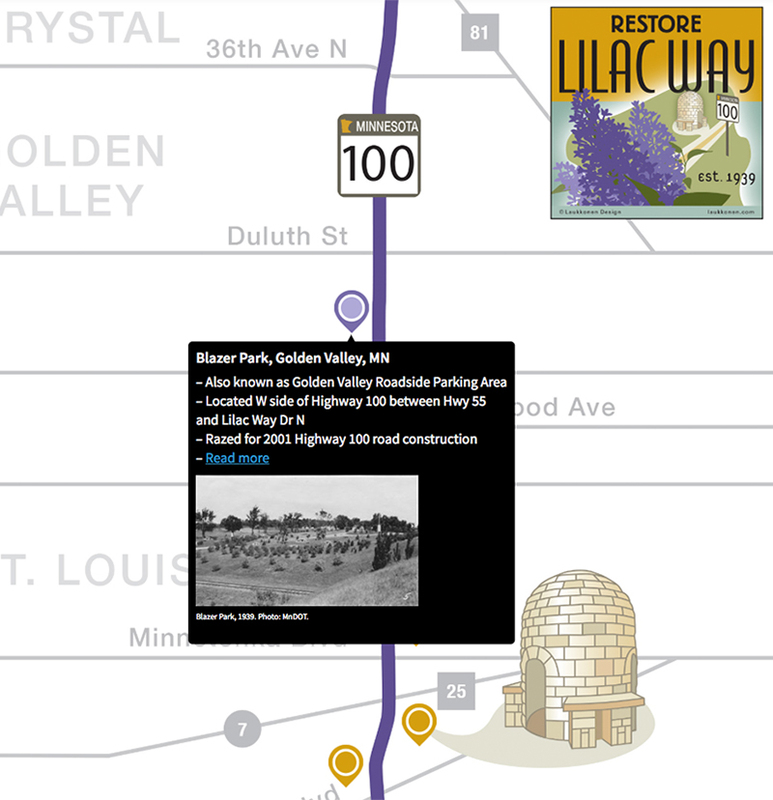 When a visitor rolls over a gold map pin, a popup window provides a profile of a Lilac Way park, shows them a photo and links them to a page for more information. Keen writing and dramatic photos stress the importance of saving one of only two 1939 beehive-shaped fireplaces left in the U.S. Combined with a growing Facebook page, efforts are coming together to save this piece of history. 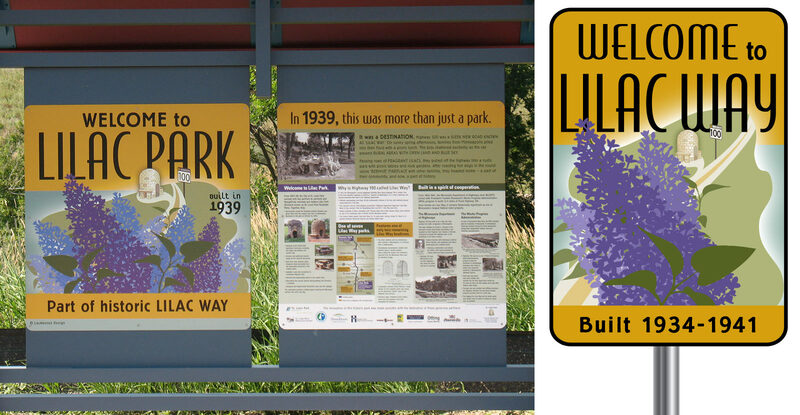 After seeing the original 2007 Restore Lilac Way website, the City of St. Louis Park hired Laukkonen Design to design informational graphics for the restored Lilac Park in 2009. 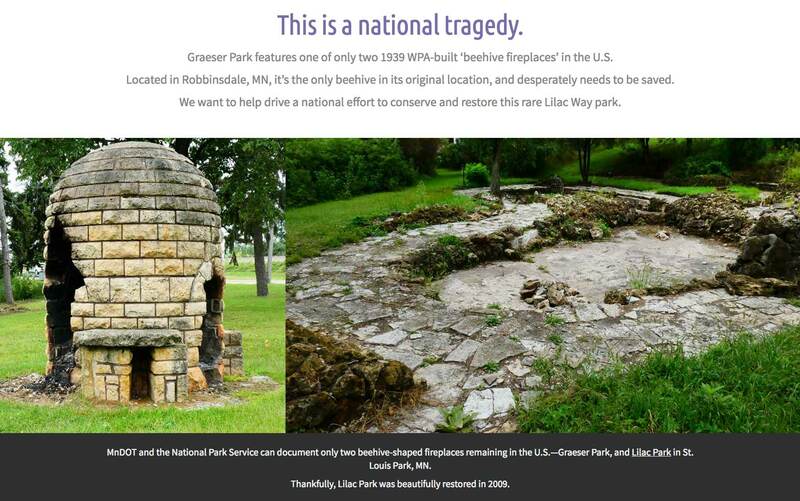 The new website proposes installation of signage on Highway 100 and in Graeser Park in Robbinsdale, MN.